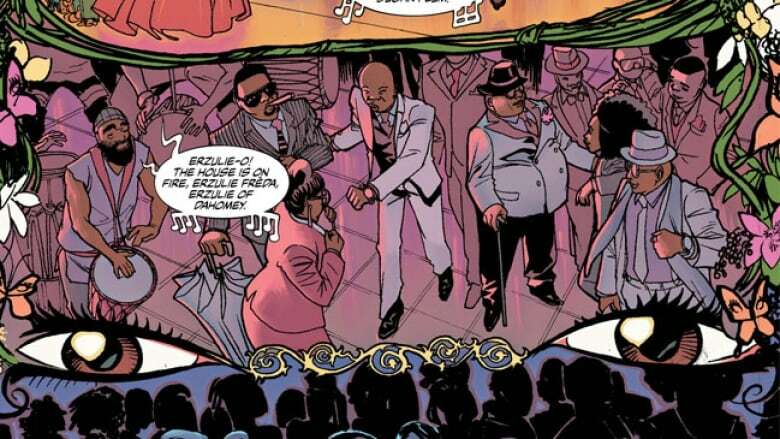 House of Whispers, written by Nalo Hopkinson and drawn by Domo Stanton, begins a new chapter of Neil Gaiman's Sandman Universe. Nalo Hopkinson has been writing mind-altering literature since publishing her debut fantasy novel Brown Girl in the Ring in 1998. 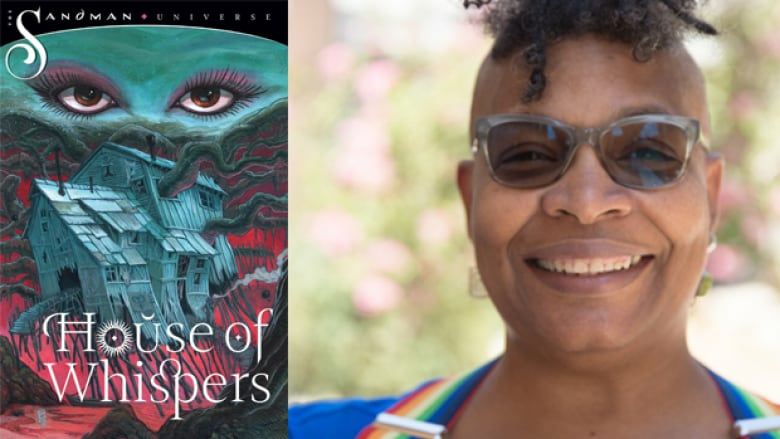 Now with nine books under her belt, including Midnight Robber, Skin Folk and The Chaos, Hopkinson is bringing her talents to the wildly popular Sandman universe, opening up a new world with artist Domo Stanton in House of Whispers. 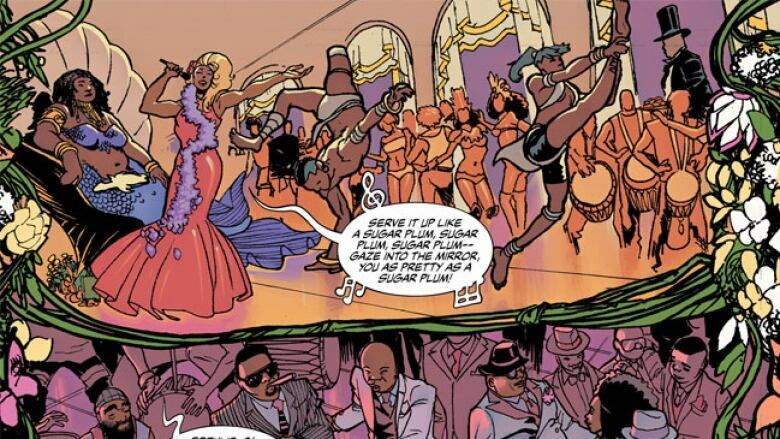 The comic begins at a lavish boat party on the bayou, hosted by the goddess Erzulie Fréda. But trouble is not too far behind the festivities, as Sopona, Erzulie's cousin and lord of infectious diseases, threatens the human world. Below, Hopkinson talks about what it was like to write comics for the first time and how she approached bringing more characters of colour to the Sandman universe. Why did you decide to take on this opportunity? "The opportunity to make my mark in a series which changed the landscape of comics and influenced a whole generation of readers? Who could resist? And Neil made it even more inviting by creating a new House in the Dreaming — the House of Whispers — owned by Erzulie, a goddess of love from a West African-originated belief system. Some iterations of her are depicted as a mermaid. My home and office are festooned with Black mermaids, many of which I made myself. I'm obsessed with mermaids with African features. So I was all over this project from the first time I heard about it." What were some of your inspirations in crafting this world? "The various belief systems of the West African diaspora, which have spread all over the world wherever Africans have made their homes. The city of New Orleans, which on top of being just an amazing place, has a long history of revering Erzulie. The story of the shape-shifting alligator man Uncle Monday, as collected by the great Zora Neal Hurston. Some of my favourite characters from the original Dreaming. Many of them are minor characters, and I'm hoping fans of the original will have fun spotting them." "Am doing, you mean. I'm only on issue #5, so the research is ongoing. I went to New Orleans and tramped around the French Quarter and some cemeteries and went on a ghost tour. I bought books about the Black history of New Orleans. I've looked up everything from songs in praise of Erzulie — so far, most of these are from the Haitian tradition, in which she's called Ezili — to how to say certain phrases in Igbo. I plan on binge-watching Pose. I'm thanking my stars I majored in French, because Erzulie speaks in French a lot. I've read and re-read the original series of the Dreaming. I frequently refer to fan wikis about the original Dreaming. I love how comprehensive fandom can be in creating and sharing knowledge bases about the stories they love." 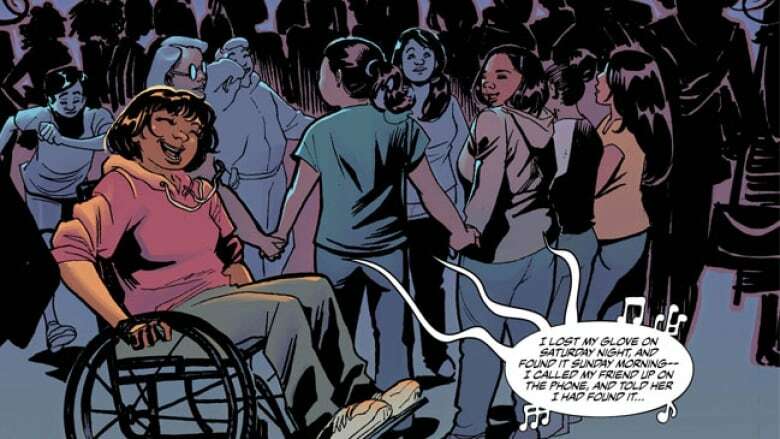 What was your approach in bringing diversity to the largely white Sandman Universe? "From my perspective, the original iteration of the Dreaming, wonderful as it was, didn't do a whole lot of representation of Blackness. Women were definitely there in force, and it was by no means an especially heteronormative universe. But while there were characters of colour, I felt I could have used more. Now I get the chance to make that happen! My first note to Domo Stanton, the artist who's creating the interior pages, was to assume that all characters were people of colour unless I specified otherwise. Erzulie is a deity who's centred in Black and Latinx community, so that makes sense. In addition, I like complicating people's ideas of what 'normal' is, looks like, acts like. I enjoy writing intersectional characters who have multiplicitous identities. I lived for over three decades in Toronto, one of the most culturally and racially diverse cities in the world, so I have my template right there for writing scenes which include a variety of types of people; various ages, races, abilities, languages, etc." How does it feel to be part of today's diversity push, as someone who has championed this for years? In what ways was writing comics more challenging than prose? "No interiority. You have to find other ways of revealing what characters are thinking. Captions have become my friends. Another challenge is needing to visualize things clearly. I have a learning disability which skews my brain more to the verbal than the visual, so I lean on Domo a lot. Luckily, he's a brilliant artist with his own strong vision." Do you have any writing rituals or superstitions you can share with us? "Open. The. File. I have ADHD. For me, it's very difficult to sit down and do something I'm supposed to be doing, and then to do it over and over again. But opening the file makes me want to start tinkering with the story in progress again."